Pictured above are the members of the Family Career and Community Leadership of America club, which participates in numerous student-led activities within the Trinity community. 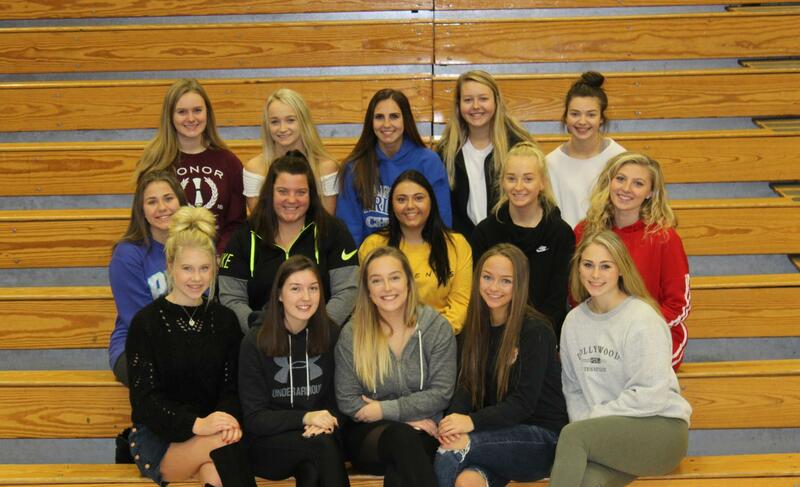 Though it may not be difficult to begin a new club at Trinity High School, it can be tough to gain members or organize events in the first few years. For Trinity’s FCCLA (Family, Career, and Community Leaders of America), this was not the case. On March 20, 21 and 22, five FCCLA members traveled to Seven Springs for a state level competition against over 400 other students. Sophomore Joie Engle competed in the Fashion Design category for which she received a silver medal and a $1000 scholarship to the Fashion Institute of Design and Merchandising in California. Seniors Jessica Loos and Angie Tocci competed in the Food Innovations category, receiving silver medals, and Juniors Kelsey Bennett and Raelee Brown competed in the Chapter and Review Display category, also receiving silver medals and a bid to nationals. The competition is not the only activity the FCCLA club has participated in this year; they have also hosted a glow dance and a memorial service for Mr. Colosimo. They will also be hosting an Easter Party in April with the Life Skills students. It is through these activities that the club promotes leadership and career-and-college-readiness qualities, something that its members have already seen despite the club only beginning this year. “It builds leadership skills, helping me to become a leader not a follower,” commented Bennett. Since the FCCLA have had such a productive first year, its members plan to attend the same competition next year, which will be held at Penn State.